It's Jennifer Larson sharing some ideas about photography. Whenever I post about photography, I feel compelled to share that I am not a photographer: I use either a point-and-shoot or my phone, and I do little processing of the photos after. (For the next photos, I used my iPhone 6, and I used PicTapGo, primarily Lights On, AutoColor, and Crispity.) Still, there are some things I do to make my photos look a little better. When I take pictures, I look to combine different textures in my shots--in the above photo, the smooth daylily leaves contrast with the intricacies of the columbine blossoms. This is a hard one--too strong a contrast will make the image difficult to see. I took this shot of a perennial geranium in my shade bed with more dappled light. The blossom is in full light while the leaves and wood mulch are shaded. This draws more attention to the blossom. The contrasts between the smooth, almost linear daylily leaves and the star shaped leaves of the potentilla and the even more intricately star shaped blossoms of the allium make this shot more interesting. The contrasast in shapes invites the viewer to look deeper into the image. "Background" isn't really a design term, but I thought about it with this shot. I wanted to flowers to be in the foreground, but it looked much more interesting to capture the rusted birdbath and the pale lamb's ears and the lawn in the background than to just fill the frame with peony blooms. Thank you for visiting! I hope this gives you ideas to play around with this summer when you are taking pictures. Welcome to day 4 of Jumpstart Week. This week we are looking at the different ways that you can jumpstart your scrapbook page. We looked at Photos, Colors, and Design so far. Today we will look at techniques. Trying a new technique is a great way to jumpstart a page. There are so many different techniques that I want to try on my layouts! For my “Beach Love” layout, I really wanted to try hand-stitching on my page. After I put down some papers and my photos and got a general idea of where I want to stitch, I stitched the word “LOVE” and an arrow in the upper left hand corner. I also stitched a star on the lower right corner to balance things out. You can even stitch on Project Life journal cards. I stitched the speech bubble onto a 3x4 journal card and adhered my photo inside it. On this layout, I hand-stitched the sun rays using twine. Another technique that I wanted to try on a page was emboss & resist with watercolors. I did that on my layout about going to AT&T Park for baseball game. Here’s a close-up of what the emboss and watercolor resist looks like. If you’re interested in trying this technique, I have a video tutorial on my blog here. For my page “Catch a Wave”, I wanted to simulate looking at things underwater through a porthole, so I created punched out circles on the bottom of the page and filled some of them with two layers of vellum and sequins and wood veneers in between. I think this see-through effect is a fun look. Another technique I love is filling cut-outs with patterned papers underneath. For my layout below, I used my Silhouette machine to cut out the circles with hearts in them, and filled the hearts with coordinating patterned papers underneath. Pretty fun! Lisa O created this layout by using the punched out negative space paper strips as mats behind her photo. She had punched out a bunch of butterflies and saved a few strips of the papers to use for the layout. So clever! Jennie also wanted to use the negative space of a die cut on a page. The mat with the hearts cut out really pop off the page! Laura O wanted to try some Photoshop actions on her photo. Laura says, “I used a photo action (Adrienne Looman Little Kisses). For something like this I always duplicate the photo to apply the filter and keep the original. I know that someday I might want to see how things really looked. With this photo the effects of the filter were so fun and super saturated I was inspired to scrap it with this polaroid frame and colorful papers.” Photoshop actions are a great digital technique to try! Jennie wanted to incorporate letterpress into a 12x12 layout. She used that technique to create this page “The Great Outdoors”. Another technique that Jennie wanted to try was to use large photos cut up into several smaller slots on a Project Life layout. That looks so cool! Want to use up all your alphabets? Why not use the leftovers to create some visual interest? Jennie used it as part of her title + as an embellishment/page element. So creative! There are many techniques that I still want to try. I keep a list of them in Evernote so that if when I have some time to experiment, I can go down the list and try something out. Trying out new techniques is a great way to jumpstart a page! The Clone Tool is used to replace a piece of a photo with a different piece of the photo. It’s used most commonly for removing unwanted objects and correcting any damage, and is such a useful tool for scrappers. ...or in my case, a photo-bombing leg. You can see that the original picture is completely improved with only the filters, but my husband stepped into the shot and it was messing with the feel of my layout. Off with the leg! Just kidding. But I am going to erase it from the photo. If I were printing these photos for a paper/paste layout, I would go through the cloning process over the whole picture - just in case the crop changed once I started my layout. But because I'm creating a digital layout PLUS I'm lazy, I don't want to have to go through the whole cloning process on the parts of the photo I don't need. So before I begin, I clip my photo to the size mask I want for my layout. Select the clone tool. It’s right next to the eraser tool and looks like a stamp. Hold down option and select an area of the photo that will blend well with the part that needs to be erased. I had plenty of clear sidewalk to choose from. You can change the size of the selection brush by tapping the left and right bracket keys. Let go of the option key and carefully click down on the parts of the photo you want to hide. Repeat this process until it’s all covered up. So that's all there is to it. It's a pretty handy little tool. I hope you've enjoyed my tutorial today! I’m so excited to bring you a whole week of posts about using those not-so-perfect photos on layouts! I’m not a photographer - I have no idea how to work my camera - and most of my photos are taken with my phone. So I’ve become pretty good at fixing them, or boosting them, or sharpening them, or cropping them in really sneaky ways. All in an effort to get those photos into our family books! Even though some photos aren’t the greatest quality, they’re important to us anyway, right? Today, I’d like to talk about filters and photo actions. These are my life-savors, and can make a huge difference in the photos. All of my photos go through some sort of post-processing before going on a layout, but I wanted to make this post more about helping the photos that aren’t great to begin with. For this layout, I used some photos of my daughter in her fabulous hat. I took the photos with my phone while we were watching a softball game. I wasn’t really worried about the best light or the best angle. I just wanted to hurry and take the pics before she decided to run off again. A subtle difference for sure, but one that makes her face brighter, the hat sparkle, and the image crisper. And you can even see her little freckles! This next photo was a mess. We were in a dark room with terrible lights that cast a yellow hue on everything. Blech. Plus it’s blurry. But out of three photos, this one was the best. It’s still not perfect, but you can see both eyes, and the black and white contrast makes it a little funky and cool. The way the photo turned out helped to inspire the colors, design, and even the title of my layout - which hopefully is a little bit funky and cool. Laura used Pic Tap Go app to brighten up this adorable photo of her son. What a difference a couple of filters can make! I hope this will help you get started on the post-processing of all your photos – both the good photos and the not-so-good photos. Come back tomorrow for some tricks to help with the inevitable blurry photos. So we've covered getting your photos off your phone, and using them in layouts, minis, project Life and photobooks. Today I'll share a bunch of fun stuff to take things a step further with your photos. The first thing is using the filters in Instagram. This is one of the things I like most about the application. You can use the built-in filters to give your photos a unique look. Laura shared this layout, and said that she used her favourite filter on these photos: it's called Brannan. Each filter gives a different effect, and in this case Brannan "richens deep colors while softening neutrals, adding a sepia-like effect to your photos à la 19th century." To see more examples of what each filter does, check out this post on Mashable. Filters can help make a "meh" photo more interesting. I used one of my absolute favourite filters here: Earlybird. I love the softened tones and the frame. Speaking of frames, here's another tip from Laura. She prefers to print her photos at home so that she can resize them how she likes to suit her pages, and also to make sure that the frame doesn't get cut off when printing. If you love the look of Instagram filters but don't use the app, you can use free actions in Photoshop to create the same effect. Here is a great article explaining how. And also apps to help you add text to photos and to make collages. Christine loves using apps like Phonto, Over, Rhonna Designs, and A Beautiful Mess to write on her Instagram photos before printing out. Android users you'll be happy to hear that we have a version of Phonto too! For making photo collages she uses the Diptic app on her iPhone and iPad. It's also available for Android phones. Amy recommends Pixlrxpress for Android phones too. The great things with these apps, is that you can do your photography and editing, and then share the enhanced photo to Instagram directly. I came across some fun freebies you can use with Instagram photos for your pages. 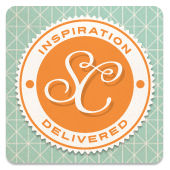 Here's a PSD layered template from Cathy Zielske for creating 3x4 cards. You can use this template from Simple Scrapper to make a digital or hybrid mini album. I like this simple template from Kelly at September Blue that she used in her December daily last year. And finally, if you don't print at home, here is a free Photoshop Action that will format your Instagram photos for printing on a 4x6 photo sheet. I mentioned that we have our own Instagram account for write. click. scrapbook., so you can click over to follow us. I hope you enjoyed this week! Before I sign off, do you have any other tips or phone apps to add? Share them in the comments! Hey there! I'm back and today we are going to take action! Well, okay we are really only going to talk a bit about Photoshop Actions. Photoshop Actions are basically just a recorded set of steps that you can run when you want to perform a task. (Don't you wish there was a action that would do the laundry?) Most scrappers use Photoshop Actions on their photos to convert to black and white or add a cool effect. There are other actions as well though. For instance, there are actions that resize and sharpen pages to put on the web. Text actions can change text into cool looking epoxies or chipboard. There are even actions that will literally scrap a page for you step by step! Do you have a task that you perform repetitively in Photoshop CS? You can record custom actions. For instance, I recorded an Unsharp Mask action that uses Scott Kelby's recommended settings (Amount: 85% Radius: 1 Threshold: 4) and I use it on almost every photo I edit, quite a time saver. Unfortunately, Photoshop Elements does not have the custom actions feature. However, you can run actions in either Photoshop CS or Elements. You just have to be sure that the action you are downloading is compatible with the program you have. I'm going to share a few of my favorite free actions here with you. Give them a whirl! Pioneer Woman Actions (PS & PSE) - we've mentioned these actions time and time again here because they are truly amazing! TIP: When the action is finished running, you can select the layer the action is on and use the drop down next to the word Opacity to lessen the effect. I find I run the Pioneer Woman's Boost at about 60% when I use it. The same with Seventies - one of my favorite actions in her sets! Coffee Shop (PS & PSE) - Rita at the Coffee Shop offers a wide array of actions in both PSE and PS formats. I simply adore her Butterscotch Vintage action. It's just stunning! Be sure to check out her black and whites too! Texas Chicks (PSE) - this site offers a few great Photoshop tools in action form. I use the Defog action and the Noise Reduced all the time. Worth signing up for the newsletter to get access! Instagram (PS) - I live in the dark ages and don't have an iPhone or even a smart phone. I have this really old flip phone with no keyboard or anything. So I can't take photos with my phone and use the app Instagram. Well now I can simulate that! This set of actions will take your photo and create similar effects to Instagram! Fun! Rob Carr's Black & White Action (PS) - This was hard to find. I downloaded this action years ago and it is my favorite black and white conversion method. It really creates crisp, stunning black and white conversions. The action stops you in places and let's you tweak the conversion. Really cool! Resize & Sharpen for Web - when posting layouts or photographs online it's important to sharpen them correctly. As well, using this action will easily resize your image to the size you wish. Polaroid Frames - Polaroid frames are so retro and add interest too. This action set easily converts your image to have a Polaroid frame! Now you are probably wondering, I've downloaded all these actions now what do I do? You'll need to install them. I could go on and on for pages and pages here, but it's probably better to send you over to Wendy Zines' tutorial to get you started! Once you have the action loaded. You can open the Actions palette and click on it to run it. I'll be back on Friday with some random tips and tricks. Be sure to stop by tomorrow for an awesome giveaway! Did you have fun shopping? I hope so. Today is our biggest day. We need to sketch our book and then begin building the base pages. So much to do. But we have two days to do it as tomorrow is give.away.day. Hmm. Someone brilliant must have put this schedule together! Before we get started, though, I wanted to assure everyone that everything we are going to digitally do this week can also be created with paper and trinkets. Instead of Cntrl-C you will cut with scissors, and instead of Cntrl-V you will paste with adhesive. But the scrapbooking basics remain true for everyone. So if you want to make a mini-album (or four) please play along. Everyone is invited. Everyone. This album is a rotation of four pages. Here they are. This album will be one repeating page. Here it is. This album will also be one repeating page. Here is Sara's sketch from long ago. This album will be a repeating 2 page spread. Here it is. We have 7 cousins so I need a kit with at least 7 options for cardstock/patterned pairing. Because I used a Paislee Press kit on the first book, I think I will stick with another for this next one. Not only are her papers lovely, but I hope it will feel more like a unified collection when all of them (how hopeful does that sound?? all of them. Guess I will be busy...) are together on the shelf. This one just needs one set of cardstock/patterned paper and a fun embellishment. I am going to use Libby's A Very Very Very Fine House. I like the elements and think they will be sweet additions. Why stray from perfection? Sara was spot on with her use of Cosmo Cricket's Girl Friday line. If my digi version is half as cute as her paper one, I will be thrilled! Sara rocks my world. This one needs a handful of patterned papers and a couple of basic elements. In some fun summertime colors. Things that will go well with aqua water blues, hot pink swimsuits, lavender goggles, and red swim shorts. That's quite a list so I have selected Crystal's Sweet Summertime collection. I am positive it will be just the right fit. It is Wednesday and I promised you that today we would be assembling our page backgrounds. Reading through your comments, I know that we are all at different levels of expertise. I am going to try to walk you through each step. If you know how to do that step, do it and move to the next one.If you don't know how, click over to the tutorial page and hopefully you will be able to walk through the step by steps. If you have questions or get stuck, please leave me a comment and I will see if I can clear it up. Also, I am no photoshop genius. I am not going to rock anyone's world with great new tricks. Instead, I hope to teach you to use a few streamlined methods to help you make it through a whole photobook without petering out or getting discouraged or running short of time. Ready, set, let's go team! When I create paper minis, oft times I start with the album size and work from there. More often than not, that which I had in my mind was not available to purchase, so I would just go ahead and create my own. If you make a square album, any adjustments for the full bleed (that's the term for when the publisher puts the printing right to the edge of the paper) can be made at the end. I would suggest this if you are a first time book maker. We have now completed our sketch, selected our product, chosen our size and publisher. Congratulations! Let the assembly line begin. 1. Install the digital kit - First, we must download the new products from the store to our computers. Step by step instructions may be found here. 2. Opening a new document - Once you have photoshop open, please create a new document. Select the size according to the size of your book pages. If you are creating a book for Shutterfly, please refer to this page for the proper working measurements. The "in bleed" size is the size that your page document needs to be. The "in trim" is the size that your page will be in your printed book. Please note that the difference will be cut off. DO NOT PLACE ANYTHING OF VISUAL INTEREST IN THIS SPACE. Similarly, try to keep your page design such that there are not any round the page borders or elements on the edge. If you are creating a book for VioVio, please create a document that is 1/8 inch more per side. For instance, if you wanted to create an 8.5x11 album, your working pages should measure 8.75x11.25. Again, DO NOT PLACE ANYTHING OF VISUAL INTEREST OR NECESSITY IN THIS SPACE. It will be cut off. 3. Open the patterned/cardstock papers you will be using for the background - If your computer is as old and tired as mine, you may want to shut down every other open window to give your computer the best chance for success. 4. Resize your papers- This is the biggest place to save time. Rather than build page by page, build as many like parts as you can. 1. open 7 cardstock and 7 patterned papers - Once they were all opened, I tiled them and then move them around until I liked their pairings. 2. using the crop tool, resize each of the 14 one by one to 8 inch squares. 3. save the cardstocks as nigel1, lavender1, poppy1, etc. 4. save the patterneds as nigel 4, lavender4, poppy4, etc. 5. crop the cardstock to 1.5x8. do this seven times. 6. click and drag the cardstock to its patterned pair. do this seven times. 6. position the cardstock on the the patterned paper in the proper spot. do this seven times. 7. close the cardstock. do not save changes. do this seven times. 8. close and save the patterned paper (which now has a strip of cardstock) as nigel3, lavender 3, poppy 3, etc. do this seven times. 9. congratulate yourself as all seven sets of papers are now done. In record time. The idea is to streamline as much as you can. If you need to crop each page a particular way, do all that cropping first. I follow this same rhythm with paper albums. I rarely build a mini-album page by page. If your album is variations on a theme, do as many of the repeating elements as you can at the same time. Another huge time saver is batch processing. It makes use of actions so I am not sure if you can do this with Photoshop Elements. If you can, try it. I batch processed step 2, step 5, and step 9. Love that. Now that your pinkie finger is cold, your hand cramped round the mouse, and your house has exploded around you, take a minute off! You did great! Sometimes, digital photobooks can be just photos. When I first designed this book, I had journaling on each page. And then I realized that the photos sort of told their own story and I wanted to leave it at that. No words. Big step for me! hahaha. Sometimes digital photobooks are actually just digital books as they are wholly lacking in photos. Let's face it. Your skills are too good to limit yourself to regular photobooks. Try something fun. And out of the box. It might just become your favorite new book! Some Halloween treat toppers.Follow Candice's instructions for printing, trimming and use. Good luck today. I will be adding more detailed tutorials throughout the day and checking comments for confused faces for the next two days. Please don't be afraid to ask, or correct, or chime in if you know a bigger better faster way. "It's all there, black and white, clear as crystal!" Two references to the original Charlie and the Chocolate Factory, possibly one of the greatest movies ever! Okay so indigo is technically a really really dark blue, but to my eye it reads almost black so I’m going to talk about black today. Black is the color of authority and power. It is popular in fashion because it makes people appear thinner. It is also stylish and timeless. Black also implies submission. Priests wear black to signify submission to God. Some fashion experts say a woman wearing black implies submission to men. Black outfits can also be overpowering, or make the wearer seem aloof or evil. Black and white conversions really help me put a layout together sometimes. If I need to use a specific color or patterned paper on a project and the photo doesn’t match, I convert it to black and white. A free b/w conversion action that I love is from the Pioneer Woman. She offers the actions in both Photoshop Elements and Photoshop CS versions. So head on over and download them today! I love how these ladies embraced black and used the color as the main color on their layouts. Some scrapbookers use black backgrounds a lot, it really makes the color elements on the page pop. Give it a try sometime! Jody Wenke used primarily black on this Halloween layout - I love how her black alphabet letters look so bold against the white background. Tina Cockburn created a large black matte for her photo and title. The black makes the colors in the photo really pop! I love this digital layout by Micki Devries from the Flickr gallery. Just some black lettering was all she needed to make her photo shine! Next up violet! The color of royalty, purple connotes luxury, wealth, and sophistication. It is also feminine and romantic. However, because it is rare in nature, purple can appear artificial. Today I’m sharing this printable purple faux bois (wood grain) paper from Paper Crave with you. How cute would that look on a page? When asked which color they use least, most scrapbookers will say purple. However, this past season purple has been creeping into products and designs everywhere. Here are a few layouts from the Flickr gallery and the fabulous ladies in the collective. Erin Sweeney used a pretty lavender as a background for this fun birthday page! Karen Glenn used this oh-so-creative color palette - bright yellow green with purple - in the first Write.Click.Scrapbook gallery - Why We Scrapbook. Lisa Kisch embraced the wonky colors in her childhood photos and pulled the out for this great Halloween page! I’ll be going through the Flickr gallery tonight and choosing some layouts to showcase. Tomorrow I’ll pick a name for a little RAK. So if you want to play, show us a rainbow page today! Well now, that was an adventure! Thanks for all of the fun comments and for participating in the makeover challenge! Because I am shamelessly proud of His Royal Cuteness, I'll leave you with my favorite photo from our photo session this week-which didn't make it onto yesterday's scrapbook page. I'm guessing it will earn of page of its own. This shot features the Urban Acid action I linked to yesterday and an edge burn action from my fellow Oklahoman (incredibly talented in every way), The Pioneer Woman. Her photography is stunning and her Photoshop actions are top-notch and free. You can download them HERE. Hope to see you again here at Write.Click.Scrapbook!